Summary: [[image/right:slave.jpg|A'andino]] The Slaves of the Sky are non-human sophonts race native to Thransisk (Riphaeus 0924) in subsector J of Riphaeus . . . 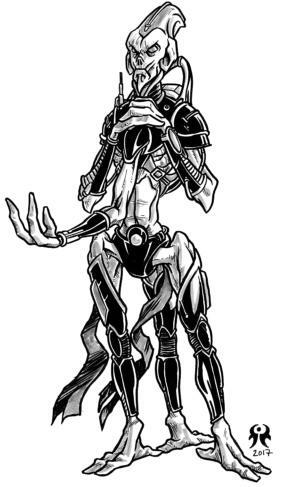 The Slaves of the Sky are non-human sophonts race native to Thransisk (Riphaeus 0924) in subsector J of Riphaeus sector. From the perspective of humans, the Slaves are a hostile, expansionist species dedicated to a rationalist philosophy known as Harmonianism, which they pursue religious zeal. They have conquered two human-majority worlds and likely have their eyes on others.